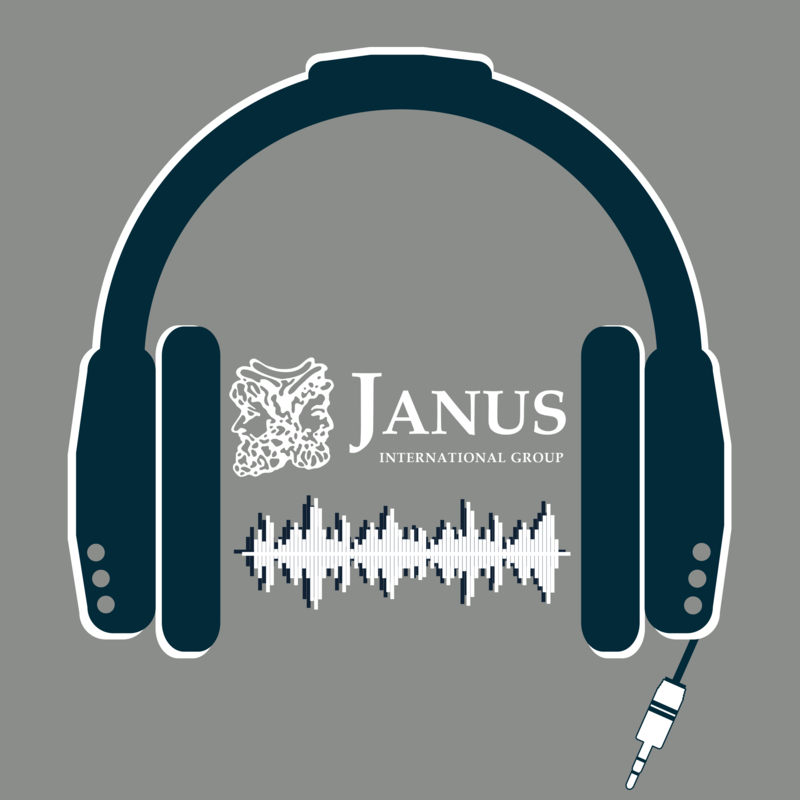 Thanks for tuning into the second episode of our Janus Connected podcast! In this episode, our staff Senior Copywriter sat down to talk with Janus International's President of the Door Entry and Facility Automation Division. Listen along to their conversation by clicking the link above or keep reading for the full transcript! Rachael Wheeler: Today we are excited to have one of our own, Terry Bagley, on the program. He is the president of our Door Entry and Facility Automation Division here at Janus. Terry has such an interesting background because he has been in both the technology and self-storage arena for such a long time. He’s got so much experience and such a great perspective when it comes to pairing these two different divisions together. We’re so excited to talk to him. Terry Bagley: It’s great to be here and chat about technology in the self-storage industry. RW: Let’s jump right in. I wanted to talk a little bit about your career when you first started. You started in the technology arena with companies like 3Com, US Robotics, and MegaHertz. Can you tell us a little about what sparked your interest in technology and software? TB: Sure. When I finished college and went into the working world, computers were just becoming mainstream, cell phones were just becoming available, and I was living in Silicon Valley, in the heart of the world’s technology development center, and it seemed natural to gravitate towards technology companies and opportunities in the technology space. I took the opportunity to jump onboard with some tech companies and it went from there. You mentioned MegaHertz, US Robotics, and 3Com. I actually started with MegaHertz and they were acquired by US Robotics after a number of years in terms of my tenure with them, and then ultimately US Robotics was acquired by 3Com. I essentially stayed at the same company but did a lot of different things there in terms of technology and my roles with those companies as they were acquired. That’s certainly not unusual in the technology industry to see a lot of acquisitions. It was fun to go through that; it was a great experience and I learned a lot. MegaHertz and US Robotics were mostly hardware companies; we made modems for consumers and for companies. 3Com incorporated more hardware but also software as well. So it was actually at 3Com that I was approached about potentially making a change to move over to the self-storage industry. I took a look at the self-storage industry and realized there was little to no technology in that industry. So on the one hand, there was a great opportunity and on the other it was like, you’re taking a technology guy and moving him into a low-technology industry. That kind of gives you a background of how I got into the technology industry and ultimately how I ended up in the self-storage industry. The gentleman that was recruiting me at that time was well known in the self-storage industry, it was Spencer Kirk, who was the chairman and CEO of Extra Space Storage. He held various roles, was their largest investor, and he pursued me in terms of coming over and getting involved in a company that Extra Space had spun off called Center Shift. It was a cloud based property management software provider to the self-storage industry. After about a year, I started listening to him a little more intently and he was persuasive and ultimately I decided to leave 3Com and join Centershift. That was my introduction to the self-storage industry in 2002. RW: Wow, 2002. So you got in there before the recession hit a few years before that? TB: Yes, actually it was a growth period at the time. There was a lot of new construction going on, and overall there were more facilities being built then than there are now in 2018. But it was definitely a growth period at that point until we hit the recession in 2008. So we grew that business, added a lot of customers and facilities, and I got very entrenched in the self-storage industry. I do remember my first couple of trade shows. The first one I went to was a state show, and there were only about 100-120 people there and I was used to trade shows that had tens of thousands, if not hundreds of thousands, of people attending them. It was fun to go there where you could really get to know people and learn about these self-storage owners and operators who are really, in many ways, serial entrepreneurs. That was a great introduction to that. I went to my first national show which had maybe 2-3 thousand people there, and again, was really impressed by the caliber of the people, and recognized that there was a real opportunity to bring technology solutions to the self-storage industry. RW: That’s something I wanted to hear your perspective on, about adopting new technology. Back when you were in those first positions, what was it like? Was there initial pushback or skepticism from owner/operators that you talked to about adopting new technology, and incorporating that into what had previously been a very by the book, ‘pen and paper’, not technology-oriented self-storage industry? TB: Yeah, there was quite a bit of that pushback, especially as you moved into the smaller owner/operators. They had built facilities, they filled them up, they had success with them, and they were doing very well financially, whether they were owning/operating them or ultimately as they sold them. The technology that was available at the time was allowing them to compete with one or two facilities against larger operators. But if you looked at the REITs, or what became the REITs, and the larger operators at the time, they realized that things were going to be changing. Probably the biggest thing that changed the industry, from my perspective, was internet marketing. You had all these guys vying for position in the Yellow Pages, which hardly exists anymore today, but when I came in the industry in 2002 that was the big thing. How big was your ad in the Yellow Pages, how much were you spending on an annual basis on your Yellow Pages ad, and how many A’s did your operating name have, so that you could be in the beginning of the section. It was really a play about Yellow Pages positioning and being at the front as people went to the Yellow Pages to find solutions. But the big guys had a sense and foresaw that internet marketing was coming and that it was change the game and the dynamic, and in fact it did and has snowballed since then. The larger owners have significant advantage in terms of the resources they can bear and the amount of they can spend on pay-per-click and the amount of effort that they can make to get their listing high in the organic listings. And ultimately there were a lot of the bigger guys that said they needed to stop spending their money on the Yellow Pages and moving their spending to internet marketing. The technology won out and gave those guys a huge advantage because they saw it, they could invest, they had people who understood how to work the system, how to do the marketing in the best fashion, and it gave them a huge lead and I think that continues today. Although there are certainly ways that medium and small sized operators can compete. RW: Right because now you have a lot of those resources available to everyone and it doesn’t always have to be a paid media. There are so many organic sources like social media and free websites. There are so many resources if you don’t have a lot of money to spend and I think it’s really exciting for smaller operators. TB: The biggest thing I think is that they’re going to get outspent and in many ways, large operators are leveraging the data that they have available to them via various sources to really make smart investments and smart spends in terms of their internet marketing. That’s the advantage that they still have and of course they’re certainly looking at social media and other avenues to communicate to a potential tenant base and to incentivize and communicate that they have this solution available to potential tenants out there. RW: Let’s talk about whenever you came to work at Janus. You’ve been here since late 2014? TB: Yes, I came onboard the first part of 2015. RW: So you’re coming up on four years? That’s so exciting! TB: It’s really amazing how fast time has gone and all the things that I’ve done at Janus since I’ve been there. I actually found my way to Janus because I was in the self-storage industry. The company that I referred to earlier, Centershift, was sold off to a company called Yardi, which is in the multifamily apartment industry. It is still providing solutions in the self-storage industry today. In late 2014, Janus came to me to ask if I would do a consulting project with them which involved a technology play, which was an electronic lock. At the time, we just had the concept and an initial design. We didn’t have integration to access control systems, we didn’t have a name for the product; we really didn’t even have a market for the product. But we knew that there would be an opportunity for that if we could provide access control at the individual unit. We knew that we would have success and in fact that has been born out as we have launched the SecurGuard® product initially, and in the last year or so launched now our Smart Entry System version of the SecurGuard product. We’re having a lot of success with that. RW: That’s awesome! And that lock has really taken off and it’s really exciting to see the things that it can offer owner/operators and enhance their day to day operations. It’s exciting to see it evolve over time. So next up, still on the technology side of things, I wanted to get your opinion on what you’re currently seeing in the automation arena, in cloud-based systems, BlueTooth, software capability advancements when it comes to the self-storage industry? You’ve seen it evolve over time, so what can we expect to see in the near future? What are some things that are catching your eye right now? TB: I think right now there are a couple of areas that are exciting. One is a focus on the potential tenant experience. And the other is unattended self-storage facilities. If we look at other industries that are outside of real estate, there’s a lot that is happening there in terms of the customer experience. You see that with internet marketing and social media, with other capabilities that are coming to the forefront in terms of improving the customer experience and onboarding experience. Certainly we can look at the lodging and travel industry to see what they’re doing to improve their customer experience in finding them and determining what services and amenities that they want from them. We’ve got a lot of industries that are ahead of us in that area but I see that all of those areas are coming into self-storage and being implemented to help with the overall customer experience. We have to remember that the dynamics are changing. We are now renting to customers from the millennial generation to the greatest generation, and the one thing we see in common with them is that they have disposable income, they’re collecting things, and we are seeing a trend in smaller and denser housing which creates a need for self-storage across these generations. What differs, especially with millennials now, is that they want to interact with us very differently than the greatest generation does. Millennials want to do everything on their smart phone; they don’t necessarily want to talk to somebody, and if they do, they want a call center experience – get on and get off the phone quickly. Companies like Amazon, for example, are defining what that looks like in the marketplace today. It’s certainly a goal to put out there. When it comes to self-storage, millennials have things to store. But they want a different experience. They want to do everything on their phone – they want to find self-storage on their phones, check out the storage operators, check their pricing, reputation management, make a decision, and onboard themselves with a smartphone. Based on what we’re doing with our SecurGuard Smart Entry System, it will allow themselves not only to onboard but to access the facility and their individual units using their smart phone. It’s a change that’s coming as we see more and more millennials renting storage units; we’re going to see more and more demand for a better tenant experience. RW: Right. And there’s that one owner/operator that I’ve talked to that has a few unmanned facilities and has a fleet of repair servicemen that can be paged and go to that facility based on the GPS coordinates in their car. TB: Yes, that’s Jefferson Shreve with Storage Express and he’s probably been doing unattended self-storage facilities the longest. There are others who are now doing it and taking advantage of the latest technology to improve the customer experience, although I think Jefferson has also done a great job and is taking advantage of that. It does change how you use technology and also change how you use your personnel. Jefferson has taken his personnel out of his centers and facilities and essentially put them in two places; he’s put them in a call center, and also does security monitoring there, and he’s also put them in the role that you talked about, which is essentially maintenance personnel. They are visiting different facilities on a route, and even with an unattended facility you have to have ways to address maintenance issues, clean out units, or repair damage to the facility or whatever it might be. He’s changed the dynamic in terms of where those personnel are stationed and what their roles are, and he’s also reduced the number of personnel he would have otherwise. He has close to 100 facilities now. If you add a site manager, relief manager, district manager scenario, you would have hundreds of employees, whereas I think he’s got somewhere around 30-40 employees between his maintenance guys and his call center. It’s definitely a change. He’s using technology to allow him to do that. He’s got the call center available to him which provides a lot of information including being able to see the facility via HI-DEF video. He’s doing a lot of security via that technology as well. I think he’s really been a pioneer and had a lot of success with that, and now others are starting to do it. They are looking at ways to do things via kiosk with call center backup, dispensing locks and other retail items, using maintenance people, and they take and use a lot of signage so that people can understand what they need to do. They’ve considered how to help people understand what size unit they need to move into, via physical representation of that at the facility or using videos on their website. So there’s lots of technology and innovation being used to help deliver an unattended or partially-attended facility in the industry right now. RW: I think that’s so exciting. All it takes is just thinking outside the box and then these technology tools are available to help accomplish things that nobody would have even thought of a few years ago. I just love that it’s hitting the industry at this point, it’s catching on and people are taking notice. I think it’s really taking off. TB: And it is. If I highlighted another vendor in the industry who is doing some really innovative things from an onboarding perspective, we could talk about Store Local, who is a co-op in the industry where they have self-storage owner/operators as members. They’re really a technology play. Their technology focus is all around better integration and about a better onboarding experience, whether it’s capturing the interest and allowing a perspective tenant to onboard from a website, learn about self-storage, what size of unit they should use, all the way to using touch screens and other technology to capture tenant information and allowing them to self-onboard via website or tenant product in the facility with video walls, explaining how to use the facility and amenities they have, and showing off and differentiating their facility. I think that’s indicative of where things are going and what could be done with technology today. RW: Absolutely. For any of our listeners who are really busy self-storage owner/operators, who are working to make their business the best it can be but are wanting to stay current on tech trends, but don’t know where to start, do you have any resources or advice for someone just coming in who wants to keep up with the latest tech and see how it incorporates into the self-storage industry? TB: There’s a number of guys that are doing really innovative things that way, and obviously we can put Janus International on that list, but if you look at guys like Inside Self Storage, they’ve got blogs they’re publishing, and many have a technology focus. I also think SpareFoot has been really good with that- they’ve been a technology leader in the industry and they’ve got some great blogs and other information available on what’s happening from a tech standpoint. Also, one of the innovative property management software solution providers is StorEdge has some great resources that are available for their website and blog. They also talk about what’s going on in the industry as well. There are obviously other places like state and national trade shows, where you can go and see the vendors there and see in person what they’re doing. Owner/operators should really go to at least their state shows, and national shows are even bigger and better so that would be a resource.